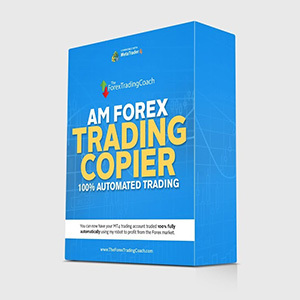 You can now have your MT4 trading account traded 100% fully automatically using my robots to profit from the Forex market. This is a great option if you wish to make great returns but you do not have the time to wish to learn how to trade for yourself. To make things easy for you, I have teamed up with 4xSolutions to provide a 100% hands free copier service. This means that you won’t need to install any software, no EA’s to load, no VPS to purchase. It’s just a simple 5 minute sign up process and you’ll then have your account fully traded on auto-pilot. All you need is an MT4 account. The great thing is this is a subscription service, you are only committed on a month to month basis and you can cancel at any time. There are no contracts. There is monthly fee to pay for the signals plus a $28 monthly fee to use the 4xSolutions platform, linking our accounts. You can take advantage of having your own account auto traded by having the same trades placed automatically on your account. There’s no work needed on your behalf. Once you have your account setup (a 5 minute job), that’s it – you’re good to go. No EA’s (robots) to install, no leaving your computer on, no VPS needed – it’s all done automagically! Your account is traded automatically with every trade that my robot takes. No Virtual Server (VPS) to purchase, no need to leave your computer running and no software or EA’s to install. You can continue to manually trade your account if you wish to. A one time 5 minute setup process and that’s it. What account size should I use? There is no minimum account size but I would suggest an account of at least $5k so that you don't miss out on trades and you also cover the subscription fee plus make a return on your account. Which brokers can I use? Almost all MT4 brokers are available on the 4xSolutions site. Once you sign up on their site, simply select your MT4 broker from the list, enter your account details and select my Trade Copier service which is called A M Trading. Can I increase the risk per trade? Yes you can. There are 2 options available to you if you have a smaller account size of $5k or less. 1. There is a setting on the 4xSolutions software called “Mirror Master Risk”. The default level is set at 100% which means that all trades that I take will be placed on your account at the same proportion. However, sometimes trades will be missed on smaller accounts as you cannot trade smaller than 0.01 lots on a single trade. By changing the “Mirror Master Risk” to 200%, it means that trades will be taken on your account at twice the risk (and also twice the reward) of the trades that my master account takes. 2. If you send an email you can request that all trades are taken on your account at the minimum 0.01 lots. This means that you'll get all of the trades placed on your account at 0.01 lots or bigger if your account size permits. This is very useful for smaller accounts of $5k or less. How long do I have to sign up for? You can pay on a monthly basis and you can cancel your subscription at any time. If you'd like to pay for 3 months at a time you'll find a discounted rate. Where can I find out if my account has been connected correctly? 4xSolutions provide a fantastic 24 hours a day live chat support. Please take advantage of that live support if you have any questions about your account. What happens if I change to a broker who uses a suffix at the end of the FX pair name? If you have a broker or change to a broker who uses a suffix (eg. EURUSDfx instead of EURUSD) you will need to log into 4x Solutions, click Trade replicator. In the trading accounts tab click disable trading. Then click Edit, in the advanced section and input the correct suffix. Once complete, save and click enable trading. I don’t see a stop loss on some of the trades. The stop loss will not show on your account on some trades and this is perfectly normal. This is a policy by 4xSolutions so that trades cannot be copied and sold from their platform. All trades are closely monitored on our master account. Can I get a refund if I don’t like the service? Unfortunately not. This is a subscription service and all results are available for you to view before joining. The joining fee payment is made to 4xSolutions, not to ourselves.